In a recent blog post, we covered blogging, social media and negative feedback. I was going to put up some thoughts on handling negative feedback as a follow-up post, but instead I’ve decided to go back to basics. Let’s discuss a favourite topic: blogging. My first serious exposure to this medium was at an inernet seminar in 2006. While I’ve heard of blogging previously, this was the first time I got up close and personal with just what blogging was. The following I set up my blog and put up my first blog post. Ok, so just what is blogging? A blog is really short (truncation if you want to be technical) of the word weblog. Really this is supposed to be a an informal type of writing, like putting up a diary entry, hence the use of the word log in the term. The blog pieces or articles appear in reverse chronological order, where the last post appears at the top of the page. The term “weblog” was coined by Jorn Barger, an American blogger, in 1997. best known as editor of Robot Wisdom, an influential early weblog. 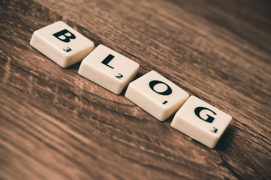 The short form, “blog”, was coined by Peter Merholz, who jokingly broke the word weblog into the phrase we blog in the sidebar of his blog Peterme.com in 1999. Shortly thereafter, Evan Williams at Pyra Labs used “blog” as both a noun and verb (“to blog”, meaning “to edit one’s weblog or to post to one’s weblog”) and devised the term “blogger” in connection with Pyra Labs’ Blogger product. I must admit that I used Blogger to put up my first blog. And, what is Blogger? It is a blog-publishing service that allows multi-user blogs with time-stamped entries. As mentioned earlier Pyra Labs developed Blogger which was bought by Google in 2003. The blogs are hosted by Google at a subdomain of blogspot.com. For instance, <joesmith.blogspot.com>. Interestingly, before the term blog appeared authors (or publishers) of these referred to their sites as a zine. The term referred to small circulation self-published work and this used to be printed. Usually this was done using a photocopier. But, I think that we digress. Contact us to discuss your blogging needs.